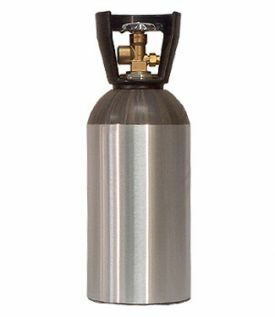 We offer wide range of quality High Pressure Aluminum Cylinders at affordable market price. This product undergoes various qualities testing to ensure higher performance and safety. We have different center in various parts of Delhi to ensure quality services to our customers. We provide full guidance of safety to our customers. These tanks offer the best all around capabilities for a high capacity at low working pressures. Medical Engineers (India) Limited. established in 1974 is a technocrat's organization having a Authorized Distributorship of Everest Kant Cylinders Ltd. for all types Industrial & Medical Gas Cylinders which includes Oxygen. Hydrogen, Nitrogen, Acetylene, Argon and CNG Cylinders as well as we have grown to become pioneer in the manufacturing of Pressure Regulators, flow Meters. Fire Extinguishers, Respiratory Safety Equipments. Medical therapy sets and other medical products. Quality products are supplied by us to our clients as our primary concentration is to ensure highest quality in our products. The complete testing of products in order to ensure flawlessness and perfection are done at our vendor base. Our chemical engineers have profound knowledge in the industry, we ensure gases that we offer are in its purest form and maintain them all levels till the delivery. In offering quality products and essential services, we have never lagged behind. The prompt deliveries, easy payment modes, competitive pricing that we offer are highly commendable and completely accepted by our clients.